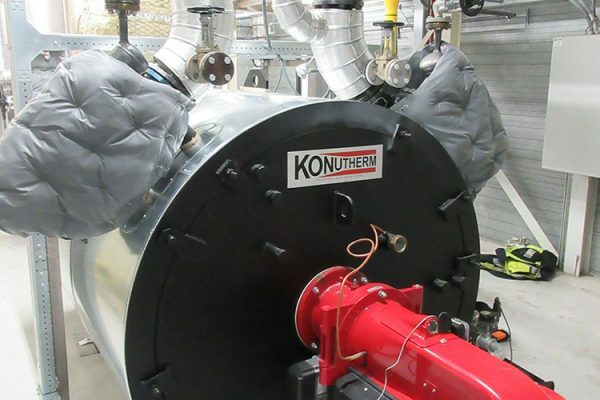 Thermal oil boilers and HTF heating systems from Konutherm (formerly Konus Kessel) are often used in the process industry as a high-quality alternative to steam systems. Our systems can be applied at temperatures of up to 400 degrees Celsius at low system pressures. 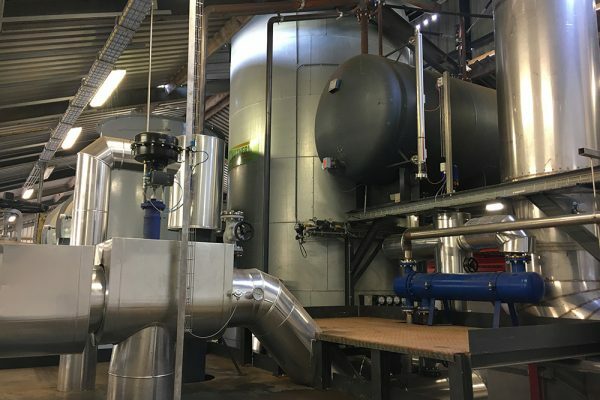 These systems have for many years been used in various branches of the process industry for the most diverse heating applications and heat recovery projects. Fully customized. 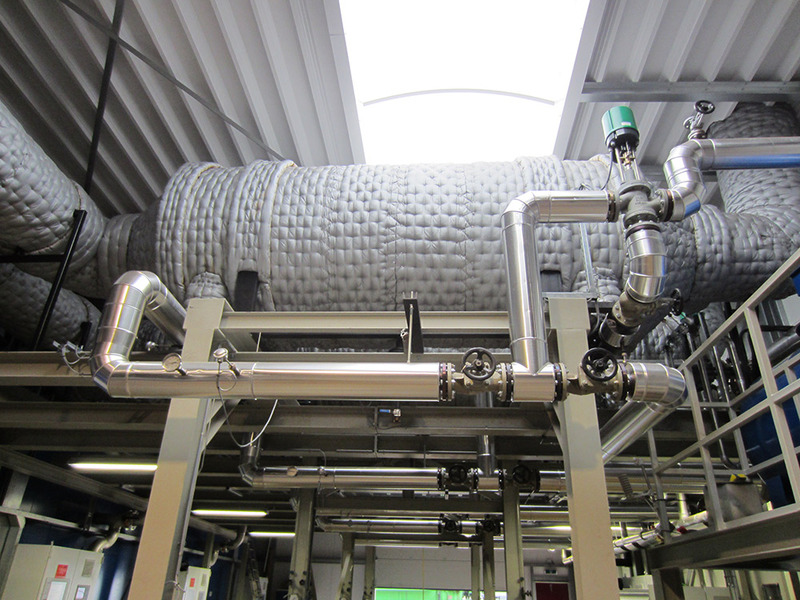 We can supply a heat transfer system for virtually every application. With or without waste gas boiler for residual heat recovery. 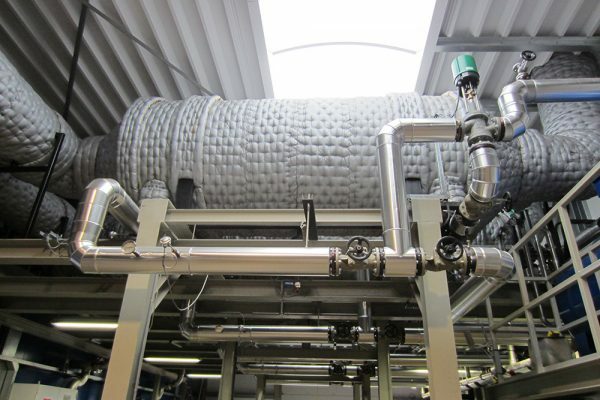 Whether it concerns bitumen or asphalt heating, gas treatment, energy generation, autoclaves, fiber-producing machines, reactors, extruders, heated presses, rollers or an oven with integrated afterburning. Our boilers are found in the chemical industry, oil refineries, oil terminals, the carpet industry and food producing companies. Our high-efficiency boilers are available in any desired capacity and design (up to approx. 25 MW in a single unit) and can be designed according to AD2000, EN-13445 or ASME VIII div. 1. We deliver our systems in accordance with CE / PED. 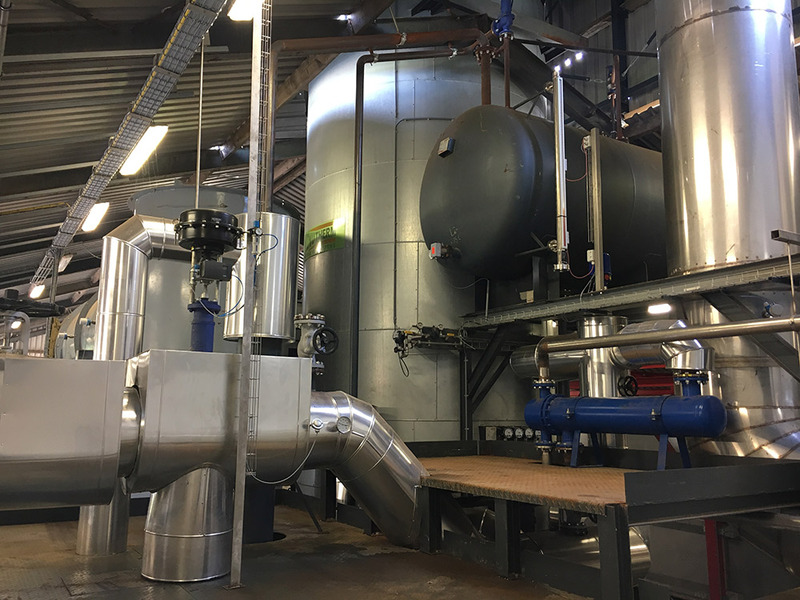 Our systems are standard equipped with gas or oil-fired burners, but special process gas, biogas / oil or dual fuel burners are also possible. 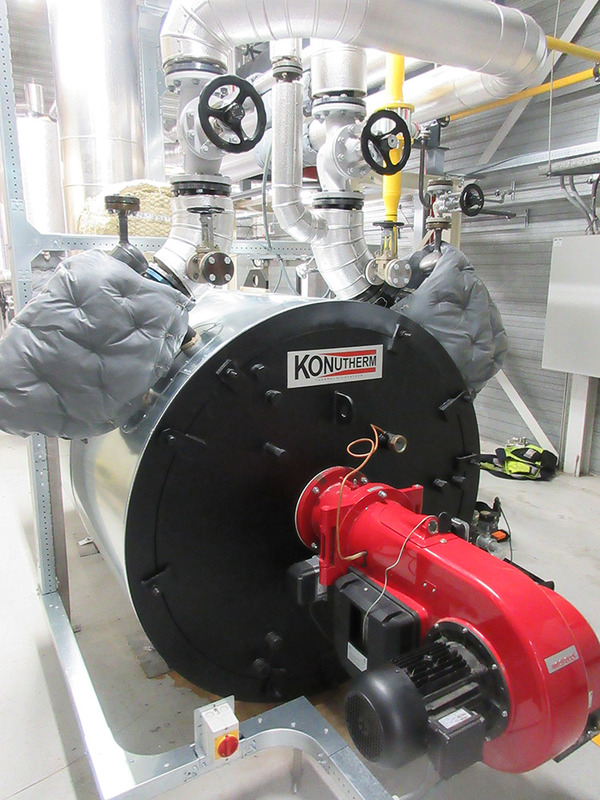 Konutherm is above all specialized in complex heat recovery systems. 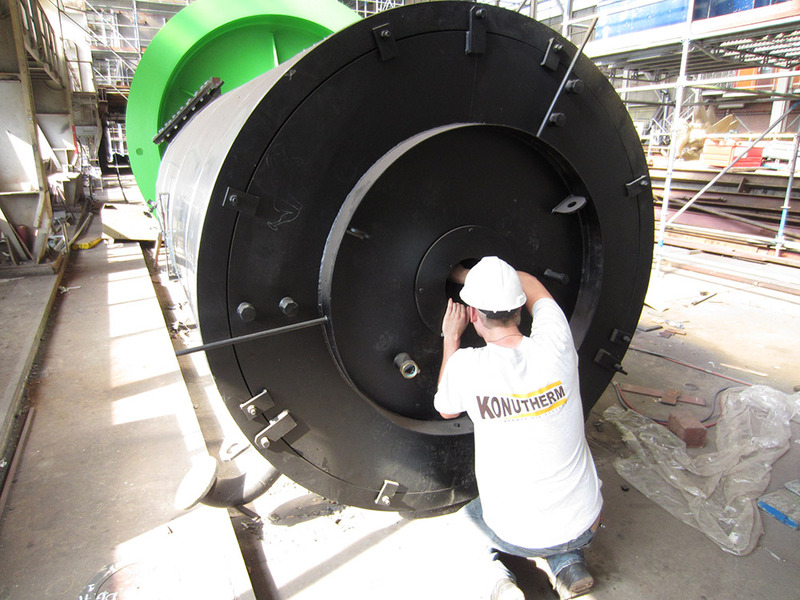 We have many references with waste boilers, economisers for flue gas or afterburners. For example, we have supplied systems for biogas plants, biomass gasification, pyrolysis and torrefaction processes and heat recovery projects in, for example, the (green) energy sector, waste industry and manure processing. For heating systems within the EU we provide the CE / PED (2014/68 / EU) approval and certificates. The peripherals and instrumentation can also be performed in accordance with the ATEX and IECex standards if required. For destinations outside the European Union, our HTF boilers can be supplied with an ASME U stamp if required. 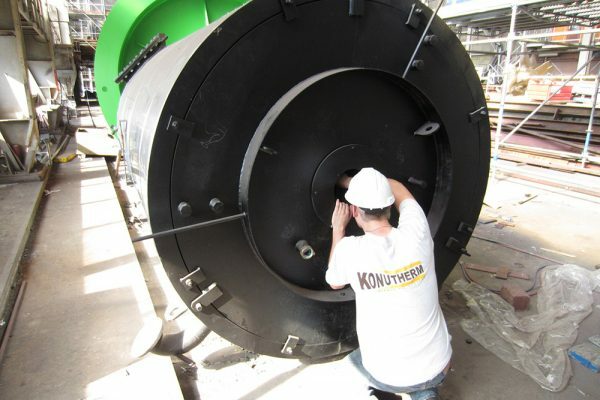 The 3-stroke oil boiler in a Konutherm thermal fluid system is virtually maintenance-free. After many years of use it still has the high efficiency (low fuel consumption) equal to that of a newly installed thermal oil heater. Both the engineering and the implementation and installation of your thermal oil boiler or water glycol heating system are supervised from our office and at your location. Whether it concerns new construction, conversion or optimization, we arrange it quickly and professionally for you. So keep your head cool and contact our experts.